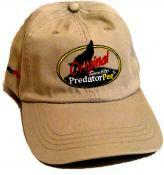 100% Pure Wolf Urine for beavers in liquid and granules from Predator Pee are the ultimate beaver repellent. Nothing is more feared in the wild, than the wolf. It is the only to solution to beaver problems. 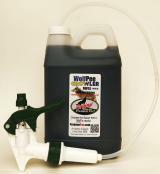 When you need to learn how to repel beavers and predators like coyotes or foxes, only Wolf Urine will stop them in their tracks. When they think a wolf is around, coyotes, cats, foxes, elk, beavers, bear, mule deer, moose and other larger animals will want to go away quickly. 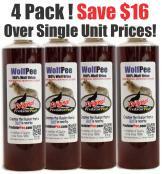 When you need a natural beaver deterrent, browse wolf pee for sale below.